Join us for StarTalk All-Stars recorded at the Star Trek Mission: New York 50th Anniversary. Featuring astrophysicist and StarTalk All-Stars host Charles Liu, Chuck Nice, astrophysicist/All-Stars host Summer Ash and author Andrew Fazekas. 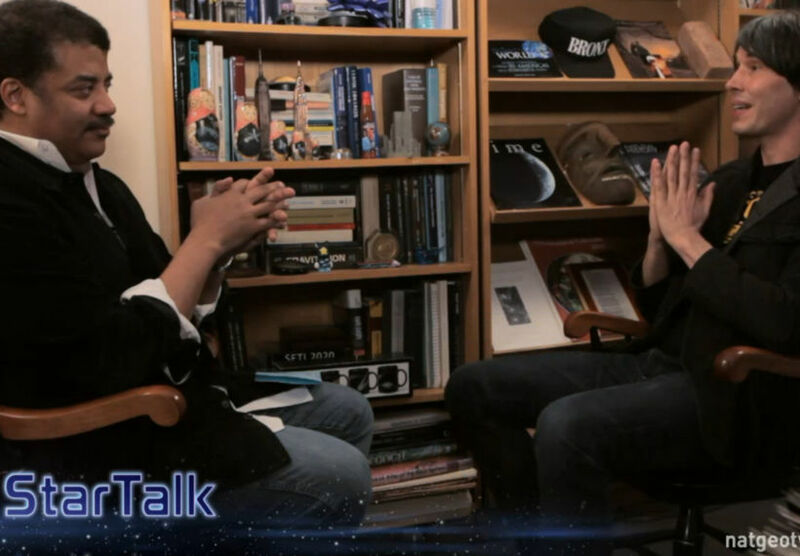 Seth Shostak, SETI Institute Senior Astronomer, discovers what it’s like to host StarTalk All-Stars when he welcomes skeptic Ben Radford and new comic co-host Ray Ellin to discuss UFOs, aliens, government cover-ups, Roswell, and space-faring dinosaurs. There’s no escaping the Zombie Apocalypse when Neil Tyson interviews “World War Z” author Max Brooks and epidemiologist Dr. Ian Lipkin. Now extended with 13 minutes of Neil, Bill Nye and Steven Soter discussing Carl Sagan and “Cosmos” in the Cosmic Crib. This week we’re still on Mars with Andy Weir, author of “The Martian”, and Dr. Jim Green, Director of NASA’s Planetary Science Division. Join Bill Nye, Eugene Mirman and Maeve Higgins for Part 2 of our show recorded live at SF Sketchfest. ADULT LANGUAGE. We’re going to Mars! Join commander Bill Nye and executive officer Eugene Mirman as we explore the Red Planet with NASA Planetary Science Division Director Jim Green, “The Martian” author Andy Weir, and Maeve Higgins. RECORDED LIVE, ADULT LANGUAGE. SEASON PREMIERE: Where is humanity going, and what will we be like when we get there? Explore artificial intelligence and “the Singularity” with Neil Tyson and futurist Ray Kurzweil. Chuck Nice co-hosts, with guest neuroscientist Gary Marcus in studio. In 2012, Neil deGrasse Tyson interviewed Alan Rickman for a 2-part show about the craft of acting, the education system, and much more. We’ve selected our favorite parts from those episodes for this look back. Chuck Nice co-hosts, with guest Charles Liu.